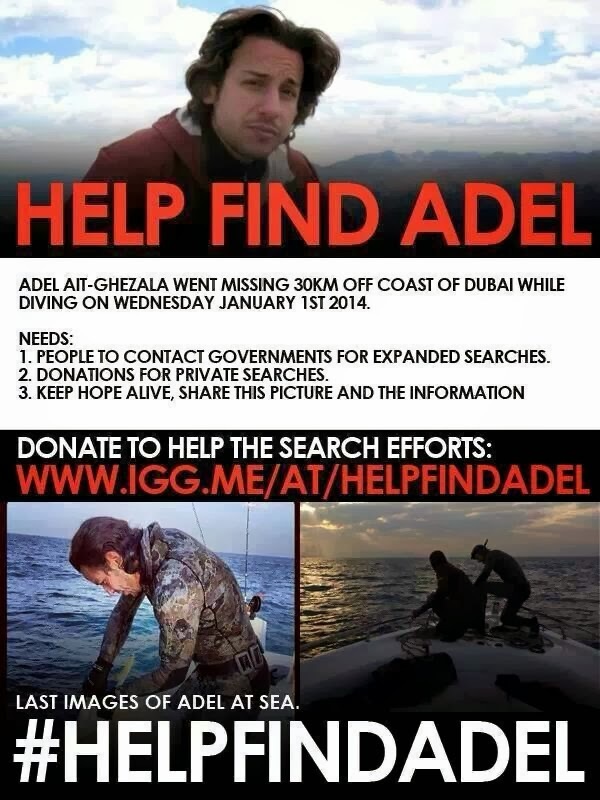 Adel grew up here in Muscat and moved to Dubai, and I've been asked to post this here as a call for help to assist in the search for him. He went diving off the coast of Dubai on Wednesday and hasn't been seen since. There is a fundraising effort ongoing at the moment looking for people to donate to help pay for private search efforts. This is the website to go to if you'd like to help. I hope his parents, friends and family get the closure they are looking for. We will keep praying and hoping that they find him alive. InshaAllah they find him alive and well.